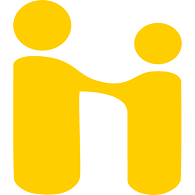 Handshake is an online database provided by Career and Professional Development Center that connects students, alumni, and employers to valuable resources and employment opportunities. More than 1,000 jobs are posted in Handshake each month and users can search for internships, jobs, on-campus interviews, scholarships, and research opportunities. Users may also use Handshake to upload their résumé for employers, practice interviewing, and schedule an appointment with CPD counselors for career guidance and résumé reviews.